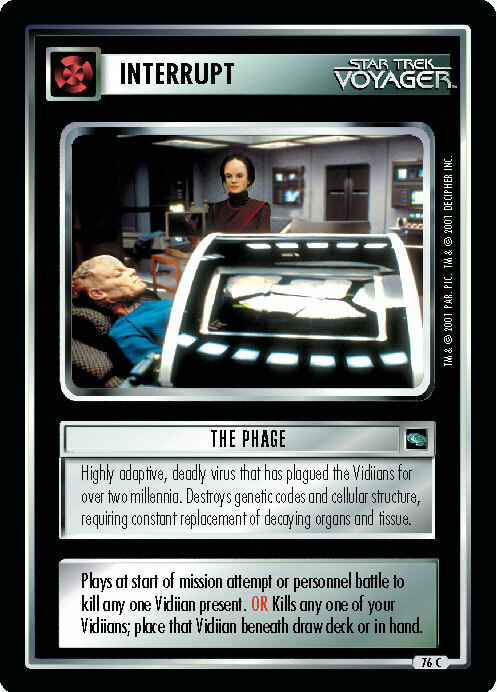 Distortions from Kes' expanding powers threatened to destroy Voyager. To save her friends, she permanently left the ship. To thank them, she pushed them 9,500 light-years closer to home. 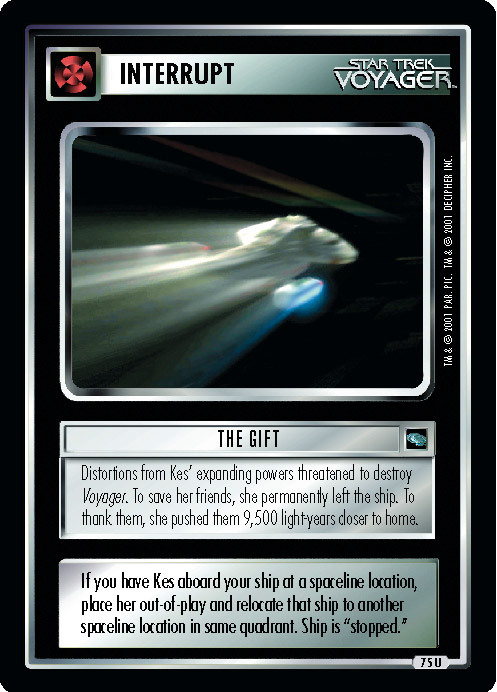 If you have Kes aboard your ship at a spaceline location, place her out-of-play and relocate that ship to another spaceline location in same quadrant. 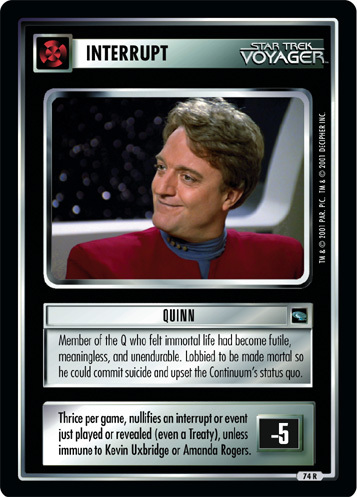 Ship is "stopped."